Sydney Aiello, a survivor of the school shooting in Parkland, Fla., killed herself last weekend, according to family members and friends cited in news reports. "Beautiful Sydney with such a bright future was taken from us way too soon," Meadow's brother, Hunter Pollack, wrote on Twitter. "It was completely devastating to bury another beautiful young person in Parkland today. Our community is going through tragedy again." The Broward County medical examiner's office told NBC that Aiello died of a gunshot wound to the head. Aiello's mother, Cara, told CBS Miami that her daughter was at school the day of the mass shooting but not in the freshman building, where it occurred. Still, she experienced survivor's guilt and had recently received a diagnosis of post-traumatic stress disorder, the news channel reported. "Cara said Sydney struggled to attend college classes because she was afraid of being in a classroom and was often sad recently but never asked for help before she killed herself," the station wrote. 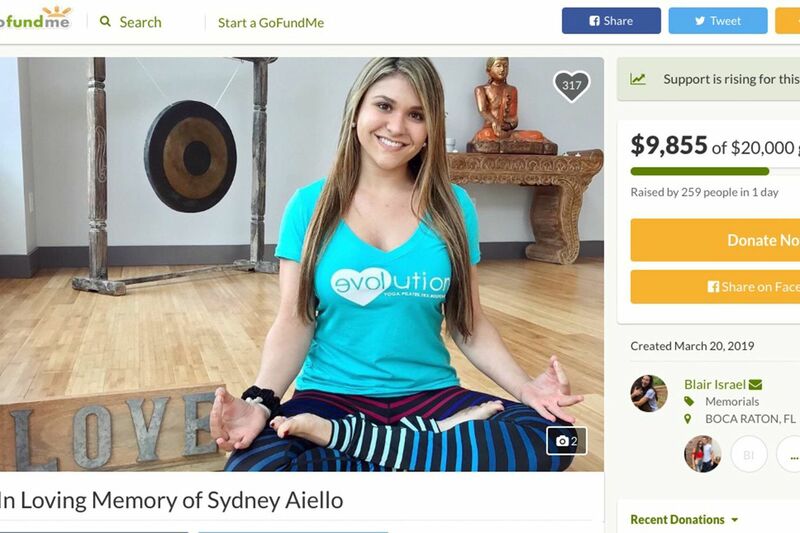 Aiello was passionate about cheerleading, yoga, and “brightening up the days of others,” according to a GoFundMe page created to raise money for her funeral. A lesser publicized aspect of the gun-control debate is the link between guns and suicide. A dozen studies have found that people who die by suicide were more likely to live in homes with guns, according to Harvard's T.H. Chan School of Public Health. At least one found that adolescents who died by suicide were twice as likely to have a gun in their home as others. Victor Schwartz, chief medical officer at the Jed Foundation, which works to prevent suicide in young adults, told NBC that "exposure to death around you does to some small degree raise the risk of suicide." "It stands to reason that there is some increased risk around the survivor guilt," he said.